As you will see below, the funds raised were used toward the the improvement of the care of our fairways in order to provide better drainage, regular fertilizer applications and removal of tree stumps left from storm or disease damage. In addition, several critical pieces of course care equipment were purchased, and a fund to repair our paths has been established. Our beautiful golf course, which also serves as Charbonneau’s required community open space, is the most important community asset that protects our peaceful ambiance and property values. However, the Charbonneau Golf Club is suffering from multiple years of operating losses, and the care of our community open space has deteriorated due to lack of adequate funds. Needed turf care procedures have been abandoned, walking paths are in serious disrepair, and equipment needed to provide this care is depreciating. This has come about gradually due to a significant change in our community makeup over the years as we have changed from a golfing community to a beautiful resort community. In the early ’90s, 550 residents assumed full responsibility for care of our open space when they established the golf course company in 1990 in order to keep it under Charbonneau’s control. However, as the years have passed many now play little or no golf. They have not been replaced by younger residents who do play. As a result of this change, we now risk losing our operating golf course business, in the very near future. Although our present revenues still provide about 80% of the income needed to meet open space care needs, the remainder must come from another source soon. While the golf club is concentrating now on increasing our outside play to provide sufficient revenues, we are seeing serious declines nationally in golfing as a pastime, and the recession has severely affected the industry. Many golf courses have closed during the past few years, and communities depending on them have suffered. We risk the same fate as our course deteriorates, and golfers choose other places to play. In early 2011, a volunteer committee of concerned golfers and non-golfers formed the Together We Can Do It campaign to fully inform our community about this community issue and to raise funds sufficient to stop the present decline in care of our open space. This effort is intended to provide a bridge to the formation of a plan so our whole community can fairly share in the care of this essential asset. 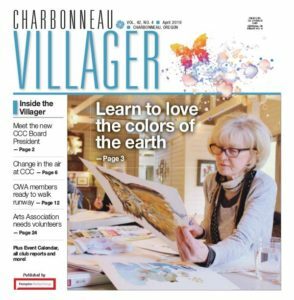 During 2011 and 2012, over 100 volunteers participated in bringing this information to over 650 households in Charbonneau through personal visits, house parties and public meetings held at the Country Club. Several mailings of campaign information also went to all residents during this period. Over 560 households have participated in the requested subscriptions of $20/month, and over $210,000 has been raised to date to meet critical needs in open space care. See our most recent report and read more on this site about how the funds were utilized to improve the appearance of our open space. While this campaign proceeded, our Golf Club and our Country Club have met together to develop a permanent solution to this issue that can fairly involve our whole community’s participation. The “Together We Can Do It” campaign was conducted in 2011 and 2012 to provide an important bridge to the permanent solution we expect to soon be offered to the community by our elected leaders in the CCC and CGC. Our voluntary support has helped significantly to alleviate the decline in our open space care, and bring our course back up to being a competitive golf course in attracting others to come and help us pay for our open space care. Please do whatever you can to support the permanent solution once it is presented for our approval. Keep our golf course from joining the hundreds across the country that have closed during this recession.